I think its sad to deny who you are…. I think it is reprehensible to do what these men did. Whenever I see a public figure focusing all their attention on denying gays their equality, I have to wonder. 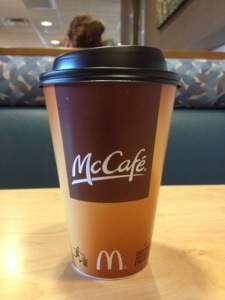 Whenever I hear about the lady who sued McDonald’s because her coffee was “hot” and burned her, I roll my eyes. But now that I have burned my taste buds off with one sip, I sort of get it…. This stuff is way beyond hot! Oh well, tasting food is way overrated.